Today I would like to comment on an indispensable (free)software in the continuous delivery of our projects. For us, it allows us to detect possible bugs of our project and manage the corrections. It allows us to improve the quality of the presented software. So, let’s go to install this fabulous software on your local PC (this guide is made for windows, although it is available in different platforms). 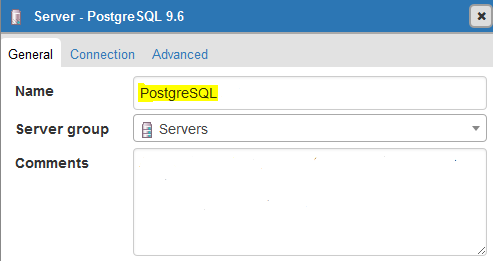 1.- Install local data base: SonarQube needs a local database, in our case we will use postgres. Go to https://www.postgresql.org/ and download and install postgres. When the installation has completed, install your local database storage on C:\pgsqldb, to do this, user this command “initdb -D C:\pgsqldb“. 3. Prepare Postgres using pgAdmin on Windows > PostgresSQL x.x > pgAdmin X. 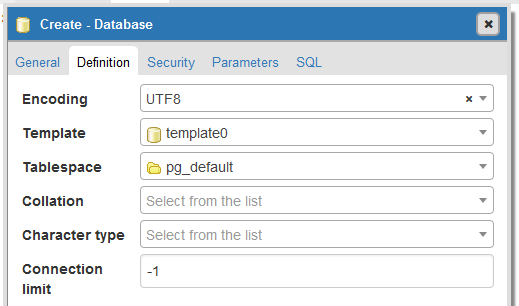 – It is important don’t use the admin user to connect the sonarQube to the database. 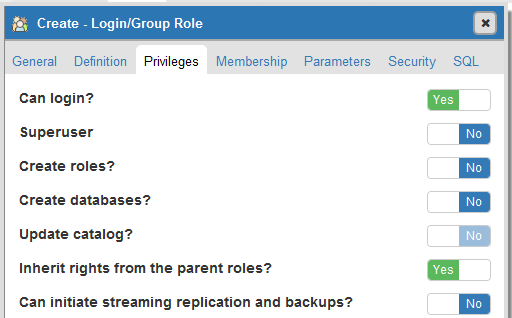 So let’s go to create a new user on “Servers > your server > Login/Groups Roles”. 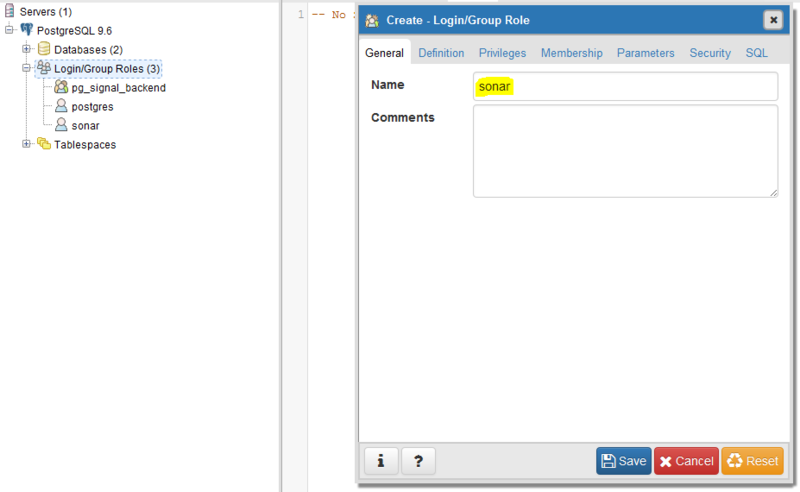 Then right click on “Login/Groups Roles” and create > Login/Groups Roles. 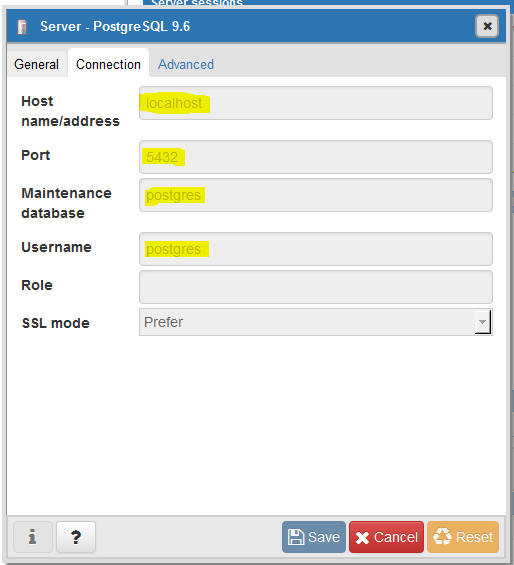 – After create server, you need to create a new database, this is a easy stept. Goes to “Servers > your server > Databases” and click on right button and then “create database”. 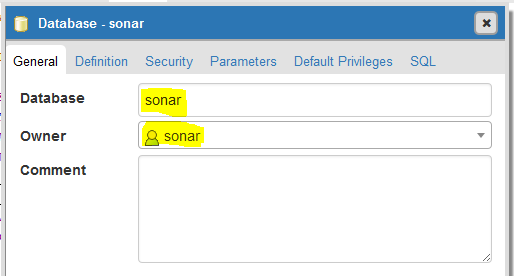 The name of database is “sonar” and the owner is “sonar” user (the user created before). After downloading the file, Unzip this file in the folder that you think appropriate. In my case (C:/). 6.- Start the SonarQube server in folder C:\sonarqube\bin\windows-x86-64 (depending on your operating system) and executing the file “StartSonar.bat“. 8.- Install new plugins. My recommendation is to install “Sonarjs“, “CSS/SCSS/Less” and “Sonarxml“. Todo this, goes to “Administration > System > Update Center” and then search plugin and push on “install”. After install all plugins you must restart aplication. Then unzip the files, in my case in “C:\sonar-runner” and add path variable on to windows. You can user “sonar.exclusions” to discard files or folders. Maybe I missed a critical step here, but where is the connection to any SAP technology let alone SAPUI5?Right now this blog is mostly a copy of the pages you linked to. Right now this blog is mostly a copy of the pages you linked to. I think you should rather remove these copied setup instructions and provide examples and experiences how you use this tool with your SAPUI5 development. Thank you for your comments, These helps me to improve the level of my posts. Although I do not share your opinion that this guide is a copy. I have reviewed and simplified installation. Rome was not built in a day, so I have been working for days on the second part of this blog, including a real cases on ui5 used in my projects. I have modified the part that specified ui5 because this tool is used in devops as universal for projects js, xml, css. Alright, then let’s see what you have in store for us! Hi Enric, thanks for this post. Looking forward on see how to apply this on UI5 developments!